Posted on 08/09/2017 by Mickey McCarter	in Live Review and tagged Careless Memories, Daniel Miller, Depeche Mode, dj party, Dodge City, Erasure, Fad Gadget, Mute Records, The Normal, Vince Clarke, Yaz. As every fan of Depeche Mode knows, the band will perform at Capital One Arena (formerly Verizon Center) next month. To celebrate, we are exploring the early days of Mute Records, Depeche Mode’s long-time UK label, with a listening party at Dodge City on Thursday, Aug. 10. The early days of Depeche Mode are of great interest to Careless Memories: A New Wave Party, and so we will dedicate an evening to exploring the band’s first several albums alongside their Mute contemporaries, notably Fad Gadget and Mute honcho Daniel Miller, who made music in several projects of different configurations including Silicon Teens, NON, and of course The Normal. 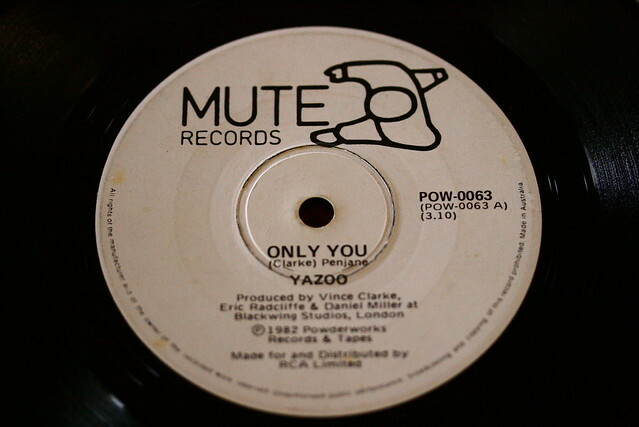 Of course, canvassing the early days of Mute also means paying a great deal of attention to the works of Vince Clarke, who left Depeche Mode after their debut album but continued to work with Mute in projects like The Assembly, Yaz, and Erasure. Careless Memories will present a full evening of Mute Records, alongside like-minded bands. Admission for Careless Memories is free. We’ve dubbed our introduction to early Mute Records “Mute Records 202” as we celebrate the label here in DC. RSVP on Facebook or simply meet us there!